The Global star Priyanka Chopra is busy with a couple of projects and photo shoots in Hollywood. But she has been facing unwanted controversy with her recent photo shoots. Not less than a couple of weeks ago, she was trolled for using a scarf which was colored in the form of the Indian flag. Recently she has posted a new fashion still to a popular magazine. 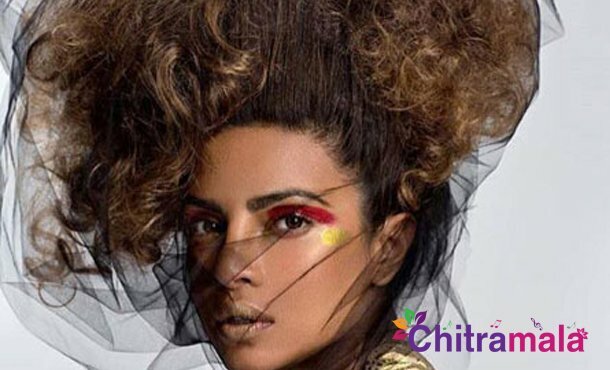 We can see Priyanka in never seen avatar where her hair is fully shaped like a hay of dried grass and odd facial makeup. Netizens, as usual, started trolling her that it took us more than one hour to identify the girl in the photo as Priyanka Chopra. Some went further and stated that fashion is used to enhance our beauty whereas Priyanka’s new fashion statement has decreased her glamour. Let us see how PC reacts to this criticism.